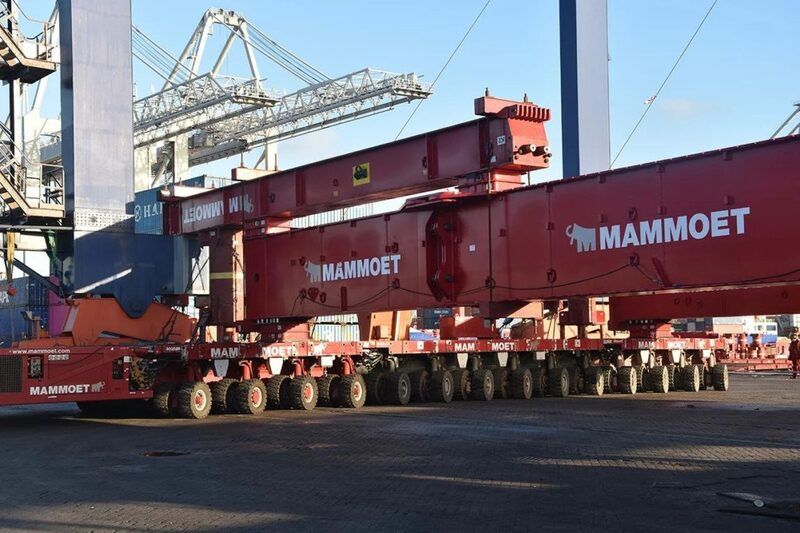 Drawing on their extensive experience in moving these specialized cranes, Mammoet has developed a way to make this method even more efficient. The new containerized transport beams (CTB) offer a more flexible, faster and cost-effective solution to current transport beams, due to the modular nature of the design. Relocating harbor container cranes are a costly and time consuming process during which the crane is idle and blocks the quay area. Transport beams are a proven method for relocating these cranes in one piece. SPMTs are used to insert the beams underneath the cranes and then, using their hydraulics, gradually lift the cranes out of their tracks on the quayside. 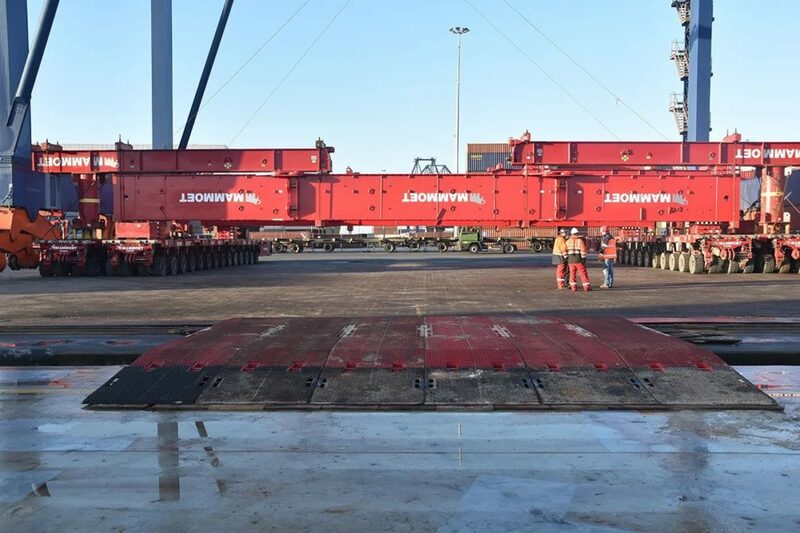 Mammoet’s in-house engineering has now developed a 3600-ton capacity, modular beam with smart couplings, adding greater flexibility and efficiency to the process. Mammoet SPMTs insert the beams underneath the crane, lifting it in one piece out of its tracks on the quayside. Due to its modular design, all parts of the beam can fit in to four standard containers. This results in rapid mobilization, easy transport and lower transport costs. 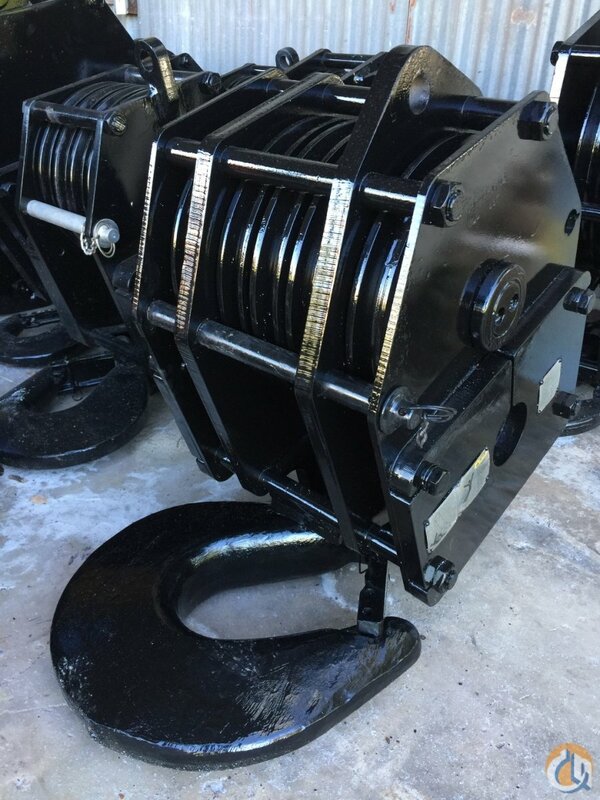 The beam is available in variable lengths and configurations so it can be used for any type of harbor container crane and rail widths. 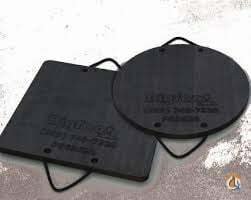 They can be extended up to 48 meters long with additional beam parts. And while modular in design, the CTB is fast and easy to assemble due to smart couplings. 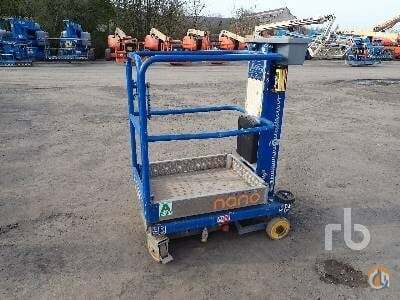 Only a small crew and an 80-ton capacity mobile crane or container handler is required to offload and assemble the beams. Mammoet’s 3600-ton capacity beams are modular with smart couplings, adding greater flexibility and efficiency to the process. 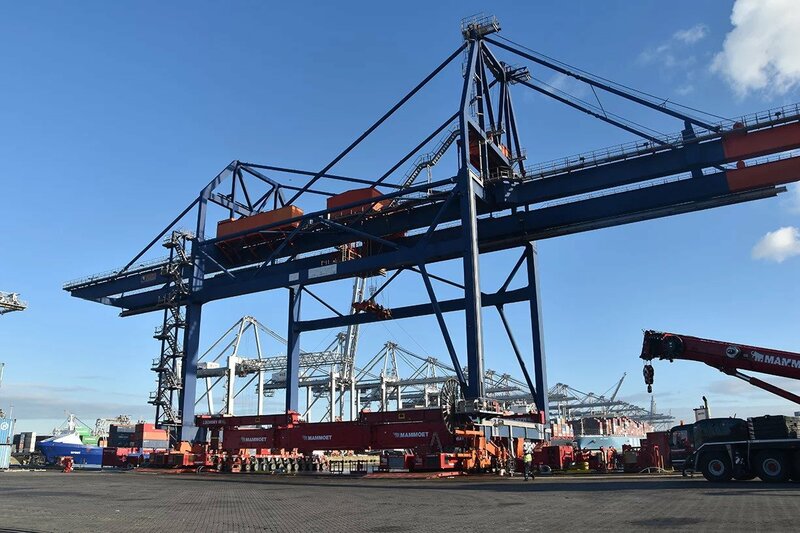 The CTBs were recently deployed for their first job relocating 12 harbor container cranes in the Port of Rotterdam, the Netherlands.